As I discussed in the first installment of the Lean Forward Files, the “Lean Forward” advertising campaign is an attempt to brand MSNBC as the network “for progressives.” While many of the individual commercials in the campaign are harmless or silly enough to dismiss with only a few words, a few of the commercials require a more thorough examination. Once again, it’s time to browse through the Lean Forward Files. As is so often the case with arguments made by progressives, it sounds sensible on the surface. All four of the remaining Republican presidential candidates hold or have held government jobs. If we take this point a step farther, it’s obvious that government-created jobs exist. Who could possibly argue that? Who, if not the government, hired the bureaucrats in the Department of Labor, or Health and Human Services? The Republican candidates appear ridiculous to dispute such a simple fact. Are the candidates really making that claim, though? Not at all, and that’s the point. 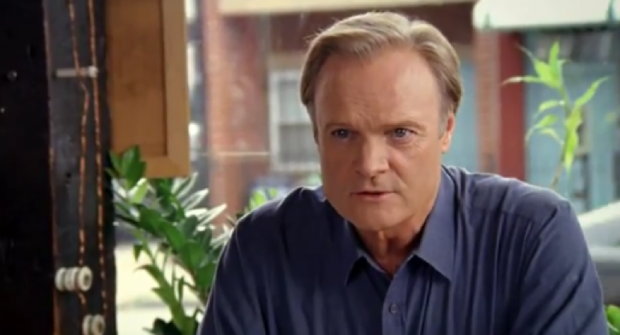 Lawrence O’Donnell is arguing semantics. In order to understand what the Republican candidates are saying when they argue that jobs come from the private sector and not the public sector, we must first understand the difference between a private sector job and a public sector job. If you are hired by a business in the private sector, it is because your employer believes that you will add more value to the company than the cost of your pay and benefits, whatever those may be. That’s as true for a fast food employee as it is for a business executive. The goal for a business is to turn a profit, after all. Businesses make a profit by providing goods and services desired by the public. This is a good, efficient system. It encourages entrepreneurship, innovation, productivity, and overall prosperity. So, how do public sector jobs work? Well, it’s certainly true that public sector employees can provide goods and services desired by the public. Few would deny that police officers and firefighters provide extremely valuable and desirable services to society, for example. However, that’s not always the case. The federal government is notoriously bloated with wasteful bureaucrats whose salary and benefits far outweigh their relatively meager contributions. Admittedly, there are private sector employees who cost their employer more than they add in value to the business. Still, if a business were anywhere near as riddled with systematic waste and inefficiency as the federal government, it would go bankrupt almost immediately. Even if we assume that government is as efficient as private business, there’s still an important difference between a private sector job and a public sector job. A private sector employee’s wage comes from the revenue of the business. If the business is not consistently bringing in enough revenue to make a profit, it will go bankrupt and the employee will lose his job and wage. As I mentioned before, that profit only comes from producing a good or service that people want enough to purchase. However, a public sector employee’s wage comes from the people. Government revenue is, after all, taxpayer dollars. So, while the government can create jobs, every job that it creates imposes a burden upon society in the form of additional required revenue. There’s a stark difference between these two types of jobs and that’s why the Republican candidates are saying that government can’t create jobs. They’re looking at the big picture. When politicians talk about creating jobs, they’re not talking about a couple of jobs here and there. What they’re really talking about is national unemployment. According to the Bureau of Labor Statistics, there were 12.8 million unemployed Americans in January. There are two approaches to an unemployment crisis like the one today. Government can either try to step in to create jobs itself or it can encourage the private sector to create jobs by cutting taxes and deregulating business. Could the government create more than ten million jobs to fix unemployment? Sure. Following the advice of early 20th-century British economist John Maynard Keynes, these newly employed members of the public sector could dig ditches and then fill them back up again. After all, the government already employs more than enough people to execute the law as things are. How many more bureaucrats do we really need? Even if the government were somehow understaffed by one million people, that still leaves millions and millions of unemployed people with essentially nothing to do. So, the government will create “make-work” projects that are the equivalent of digging ditches and filling them back up again. Still, what if we were extremely generous and claim that somehow all of these new public sector employees had something constructive to do? What’s the problem, then? Here’s the problem: You have to have the money to pay these people. Where does the money come from? The only three options are deficit spending, printing money, or raising taxes. Since we already have an enormous annual deficit and a massive national debt, it’s unlikely that we would find many nations that would be happy to give us even more and even larger loans, and we certainly couldn’t count on their patronage indefinitely. Simply printing the money would cause large-scale inflation, which is itself a tax, and that would debase the currency, so that’s certainly not a good option. The only realistic way to pay these new public sector employees would be to increase taxes on the private sector. The huge tax increase that would be necessary to pay for this would devastate the private sector. As companies went out of business, the burden on each remaining company would rise accordingly. Many of the newly jobless would likely turn to the public sector for employment, which would only make the burden heavier. Eventually, the private sector would inevitably collapse under the strain of paying for the public sector. That’s the end result of relying on government “job creation” instead of the private sector when responding to an unemployment crisis. Yes, public sector jobs exist and the government can create more of them, but a free society and a productive economy cannot be built on an enormous public sector paid for by the workers in a beleaguered private sector. It’s not a realistic solution, and it’s not desirable, either. Conservatives prefer the second response to an unemployment crisis. By cutting taxes on both individuals and businesses and lessening the regulatory burden on business, government can spur private sector growth by getting out of the way. In particular, we should encourage innovation by making it as easy as possible to start a business and allow entrepreneurs to reap the rewards of their work. Although Lawrence O’Donnell does refer to himself as a “practical European socialist”, I don’t believe that he actually wants to see the private sector crushed under the weight of the public sector in this way. Instead, O’Donnell simply wanted to appeal to progressives while also scoring a cheap political point by trying to make a mockery of the Republican presidential candidates. His argument was shallow and ultimately silly, like most of MSNBC’s “Lean Forward” ad campaign.